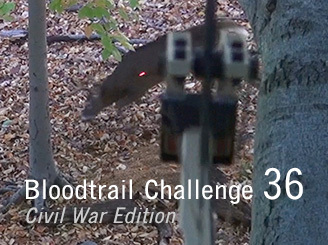 You quietly climb down from your Summit Treestand and look over the shot scene. A few feet down the trail is the arrow. 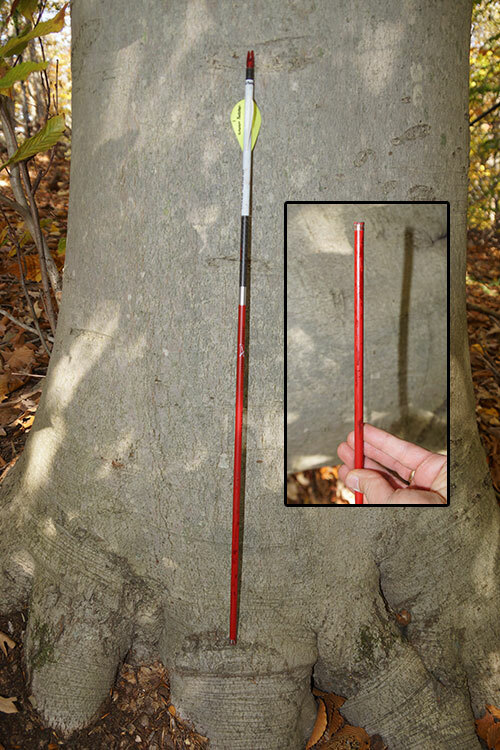 Unless the arrow is unrecoverable, we always inspect it for visible clues. 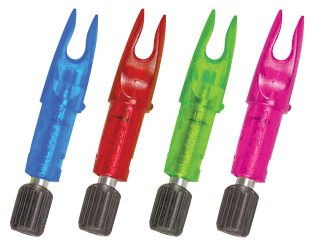 In this case the CX Maxima Red shaft has 10" of bright red blood and is snapped off close to the broadhead. Answer Clue 4 below.